Nice warning. The problem is that this appeared in late November -- when it was cold outside. 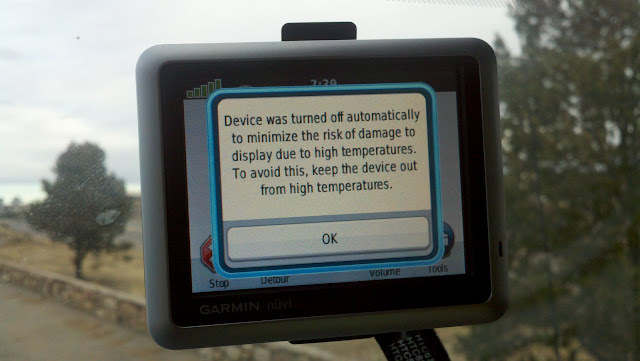 I've not yet seen this appear after the GPS sat in the hot Arizona summer sun.